Catherine Dunne is the author of ten novels, the most recent being The Years That Followed. The Things We Know Now won the 700th anniversary Giovanni Boccaccio International Prize for Fiction in 2013 and was shortlisted for the Eason Novel of the Year at the Irish Book Awards. She has also published one work of non-fiction: a social history of Irish immigrants in London, called An Unconsidered People. Catherine’s novels have been short listed for, among others, the Kerry Group Irish Novel of the Year Award and the Italian Booksellers’ Prize. Her work has been translated into several languages. 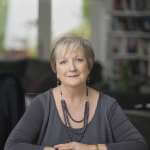 She was recently long-listed for the Laureate for Irish Fiction Award 2015. Catherine Dunne lives in Dublin.